Retirement might feel like a long way off—especially if you’re in your twenties—but it’ll likely be your biggest and most important savings goal. The earlier you start with a retirement savings strategy, the longer your money can benefit from the . If your company sponsors a 401(k) or other retirement plan and offers a matching contribution, make sure you’re contributing enough to get the maximum match. If you don’t, you're missing out on “free money” that could have a huge positive impact on your retirement savings over time. Ask your HR department whether you’re contributing enough to get the full company match. If you can afford to contribute beyond your employer match amount, we recommend contributing the maximum annual amount whenever you can. If you’re self-employed, contribute the maximum to your small business retirement plan. If you don’t have one yet, consider an Individual 401(k), a SEP-IRA, or a profit-sharing plan. In your 20s, try to set aside 10%–15% of your income for retirement. In your 30s, try to set aside 15%–25%. In your early 40s, try to set aside 25%–35%. In your mid-40s and beyond, try to set aside 35%. Resist the temptation to cut back on saving for retirement, even while saving for your children's college expenses or paying down your mortgage. If you're a Schwab client, you can enroll in Schwab MoneyLink® and set up regular online transfers from external accounts to your Schwab accounts. Put your money to work instantly by automating your investments. If you're a Schwab client, log in to enroll eligible mutual funds in Schwab's Automatic Investment Plan. If you're changing jobs, you may want to consider consolidating your retirement accounts with a rollover IRA. This can help simplify your overall financial situation, and may give you more investment choices that are right for you. With a rollover IRA, you pay no taxes or withdrawal penalties at the time of transfer. Remember that a rollover of retirement plan assets to an IRA is not your only option. Carefully consider all of your available options, which may include, but not be limited to, keeping your assets in your former employer's plan; rolling over assets to a new employer's plan; or taking a cash distribution (taxes and possible withdrawal penalties may apply). Before making a decision, be sure to understand the benefits and limitations of your available options and consider factors such as differences in investment-related expenses, plan or account fees, available investment options, distribution options, legal and creditor protections, the availability of loan provisions, tax treatment, and other concerns specific to your individual circumstances. Explore your 401(k) rollover options and their pros and cons. Talk to a Schwab Rollover Consultant, who can handle all the details and make rolling over your account hassle-free. If you've maxed out your tax-deferred 401(k) and can afford to save more, consider opening and fully funding an IRA, or a taxable savings or brokerage account specifically for retirement. Compare your IRA options side by side, or use our Roth vs. Traditional IRA Calculator to see which IRA might be better for your situation and to compare estimated future values. Consider a deferred variable annuity. Open an IRA online and set up automatic transfers from your bank account. You can get started with a Schwab IRA for as little as $100 a month. 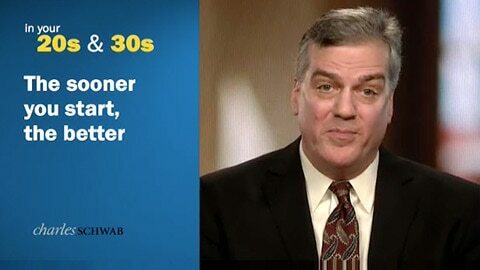 In your 20s or 30s? Get an overview on starting to save for retirement. Need help planning for retirement? Consider Schwab Intelligent Advisory™, our unique approach that combines professional advice with automated investing. Withdrawals from an IRA or qualified retirement plan prior to age 59½ may be subject to a 10% federal tax penalty on earnings.